Traditional swash plate which come with "spherical ball joint" is a compromise between friction and rigidity of the assembly. 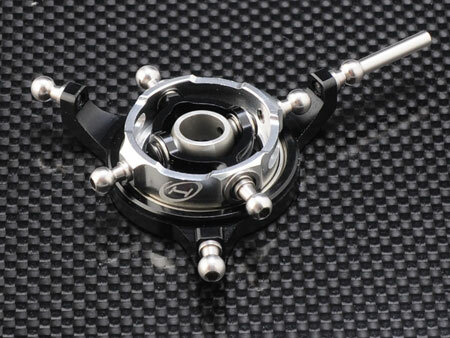 And it becomes sloppy over time because the spherical ball rotates and twists with the upper swashplate. HeliOption Gimbal swash plate utilizes ball bearing joints which minimize friction and is as rigid as the bearings provided. 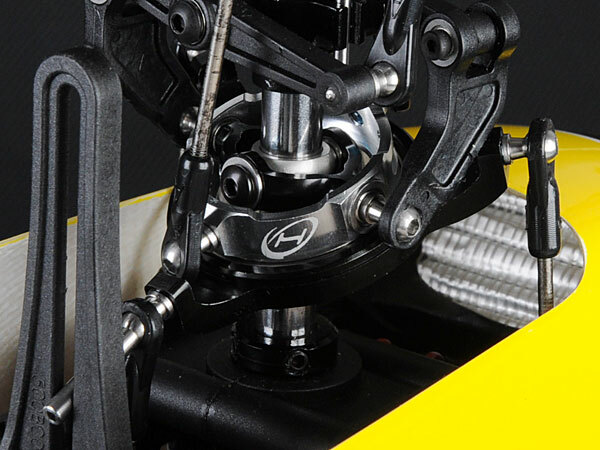 The benefits are many including longer swashplate life, less wasted power, and less slop.